Honey is a natural anti-biotic and contains minerals and vitamins that your regular sweetener – refined sugar does not have. Among so many traditional folks, honey through the ages, have long been used in domestic remedies to treat simple issues such as heart burn and stomach ulcers, etc. The food and healing values of honey is just immeasurable. Present in it are the various natural sugars such as – glucose, fructose and sucrose. The combination of these properties plays vital roles including restoration of oxygen in the onset of fatigue. These properties also aid in the building up of tissues. It has also been discovered that the pollen in honey contain all 22 amino acids, 28 minerals, 11 enzymes, 14 fatty acids, and 11 carbohydrates. Therefore there is no gain saying or emphasizing the fact that when you go buying your honey, make sure that you go for natural, pure honey. Refined honey is just not it because in the process of refinement, honey is heated to a high temperature and the pollen is lost and so many of the vital properties are in turn reduced in potency and value. You do not want this because you will want to enjoy all of this natural goodness that can only come at once from the consumption of natural honey. Honey is one of the finest sources of heat and energy, and indeed one of the best easily digestible sources of carbohydrate foods because it goes straight into the blood stream and therefore highly recommended for those with (slow) or (weak) digestive systems. All of the organs in the body do respond favourably instantly and very friendly with the intake of honey. Honey from old times has been known to be an all purpose natural medicine which even today has become useful in both preventive and curative remedies in so many ways. Learn therefore how to defeat your constipation and stomach acidity problems by taking a table spoonful of honey mixed with the juice of half of a lemon in a glass of warm water. Take it first thing in the morning on an empty stomach. If you fast on this remedy, it will also take care of your obesity naturally without loss of energy or appetite. 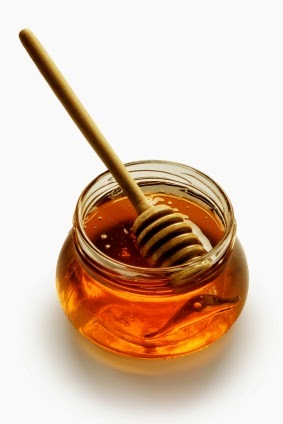 Also, if you want to achieve luxuriant hair growth, then try massaging a mixture of tablespoonfuls of honey and alcohol (stirred together) into your scalp regularly allowing the mixture to rest in your scalp for two hours each time, after which you wash out thoroughly or rinse out with shampoo. This will generally stimulate the hair follicles to regenerate and shoot forth new healthy growth of long hair. Note of caution: Look out for original natural and pure honey and make sure not to buy the sugar molasses that some people hawk around in the name of pure honey. This is merely thick dark syrup produced by boiling down juice from sugar cane; especially during sugar refining, even though it mimics perfectly the colour sometimes, of pure honey. Pure honey is dark and not the bright yellow of refined honey, and there are so many ways in which to distinguish original natural honey.